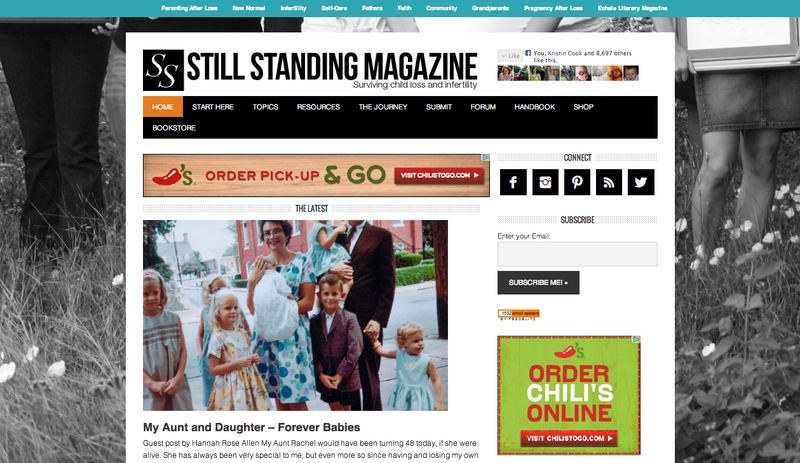 I am honored that another thing I wrote is published on Still Standing Magazine. The magazine is a beautiful place for people who have suffered a loss or are dealing with infertility. I am sharing about my beloved Aunt Rachel and the grief my grandmother and I share. Read my guest post "My Aunt and Daughter - Forever Babies" on Still Standing here.